Trucker Huss, APC is pleased to announce that director Joseph C. Faucher will serve as a panel moderator at the 2019 Joint Committee on Employee Benefits Government Invitational on Thursday, March 14 in Baltimore, Maryland. The session, “Multi-Employer Retirement Plans (Tort Trial and Insurance Practice)” will discuss current topics related to multiple employer plans and association retirement plans. 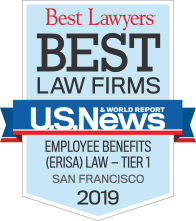 Joe Faucher has been litigating ERISA matters and other employee benefit related cases for nearly 30 years. 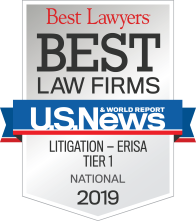 His ERISA litigation experience includes defending actions for breach of fiduciary duty against retirement plan sponsors, administrators, trustees and other fiduciaries, defending ESOP fiduciaries, and representing plans and administrators in claims for benefits against retirement plans, disability insurance plans, health insurance plans and life insurance plans.